Jonathan Newell looks at infrastructure progress to support growth in the use of hybrid and electric vehicles in rural areas. With the recent Government announcement of its 2040 plan to ban sales of non-hybridised new vehicles with diesel of petrol fuel, the move towards alternatively fuelled vehicles will gain ground rapidly over the coming decade. This accelerated path towards electrification will put pressure on local authorities to ensure there is sufficient capacity in their infrastructure to support increased demand both on the national grid and charging points at which car owners can “refuel” their vehicles. Rural councils have very little time in which to assess the capacity requirements, secure funding, enter discussions with the private sector and implement the necessary changes. Cumbria County Council faces bigger challenges than most – not only does it have a dispersed rural population but it also has a large tourism economy that is expected to boom due to the recent accession of the Lake District to the list of World Heritage sites. Cumbria County Council declined to discuss the plans, options and opportunities and refused to provide any further comment. Meanwhile, another rural tourism hotspot is rising to the challenge with the launch of a study into the potential for charging infrastructure in North Wales. The Rural Development Agency, Cadwyn Clwyd, and Wrexham County Borough Council will work with Low Carbon Vehicle organisation Cenex to explore the options for charge point locations and electricity network specifications across the county in an effort to promote the uptake of plug-in electric vehicles both for rural residents and incoming tourist traffic. Commenting on the initiative, Donna Hughes of Cadwyn Clwyd said that it is becoming increasingly necessary to provide greener infrastructure within the county to meet the rising demand for electric vehicles. “This feasibility study is the first step in addressing the need for public use charging points, giving visitors and residents the confidence that they can travel to, and within the county,” she said. With two important local authorities having polarised attitudes towards electrification, I asked Robert Evans, the Chairman of the UK EVSE (Electric Vehicle Supply Equipment) Association, to clarify the responsibilities of the various stakeholders in providing infrastructure. “Part of the reason why we have had a rapid roll out of charging infrastructure in the UK has been the diverse range of organisations who have invested in hosting charge points,” he said. 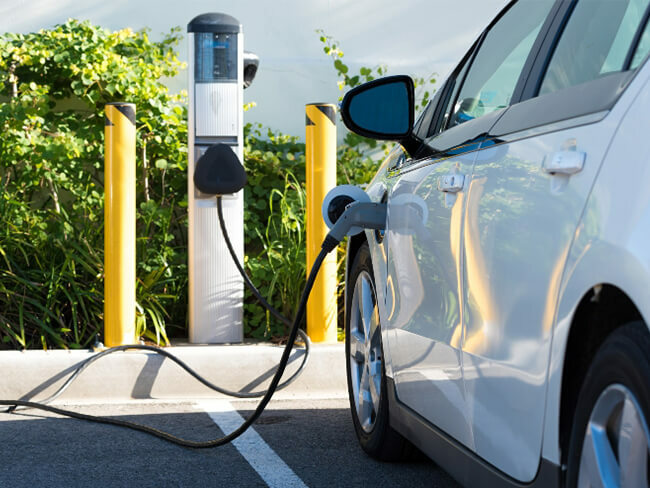 He went on to say that these include local authorities, as well as a range of private businesses including car park operators, supermarkets and hotel chains, as well as businesses investing in workplace charging. “We have seen hotel chains, supermarkets and other retail outlets installing chargers as part of their national policy. We have also seen local businesses install chargers for local customers to use,” he explained. Commenting on rural tourism charging requirements, he told me, “For a region like Cumbria, where tourism is very important to the local economy, as there are more EV motorists, so there will be a need for more chargers. Tourists have choices and will opt for what is convenient. Whilst EV numbers have been low there hasn’t been a pressing imperative to prioritise chargers. Moving forward, this will become more of an issue. Local authorities can play a facilitating role, investing themselves whilst encouraging businesses to invest.